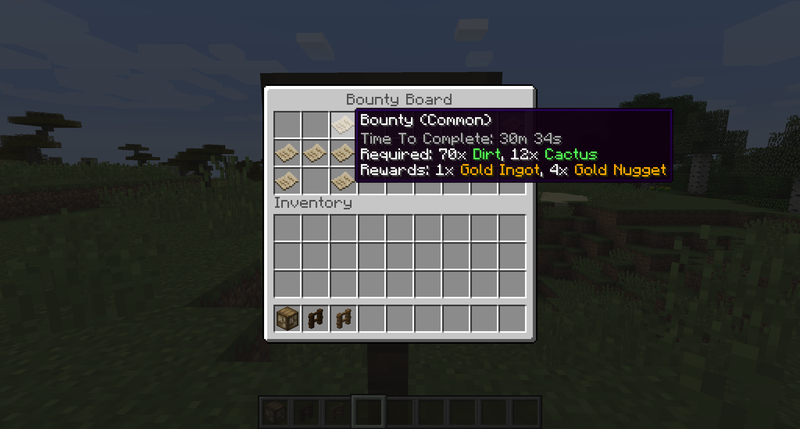 Bountiful is a mod centered around a single block called the Bounty Board, and items which appear within: Bounties! Finding a bounty board is easy, they show up quite often in villages (There is a config option to enable a simple recipe as well). Once you have found a bounty board, it will start to fill with bounties. These bounties come and go at random, and each bounty will ask you to collect a couple of items, or kill a couple of mobs of a certain type. Each bounty also has a list of rewards which you'll get once you fulfill the bounty. If you don't like any of the bounties that are available, you can come back later. Old bounties get taken down and replaced with new ones all the time! Once you see one you'd like, bring it with you. 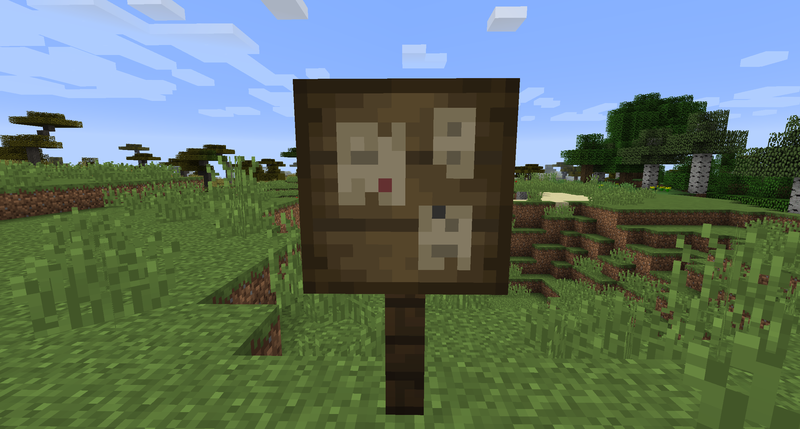 Once you're collected all items that the bounty is asking for, and/or you have killed all of the mobs that it is asking for, just right click on the bounty board with the bounty to turn it in, and your reward will be given to you in return. By default, the only items that show up in the bounty board are from vanilla minecraft, and the only rewards are gold ingots and gold nuggets. The intention is for modpack makers to add their own possible bounty items to the board through the use of the config JSON files. You can also specify entirely different rewards if you would like. Just like items, bounties can have a tier of rarity. As you find more rare bounties, the reward for fulfilling them will be greater than that of normal bounties. Rarity follows the same pattern as in vanilla: Common, Uncommon, Rare and Epic. I originally made this mod so that I could be given some goals to accomplish, which would stave off boredom. Also, this mod works well on servers. If your server uses a common currency, you can set the rewards to be said currency. "/bountiful reload" or "/bo reload" reloads the bounty json data in-game without having to restart. Additional commands, as well as instructions on how to modify bounties, can be found on the wiki. AkiShirai, for the wonderful textures.